Huon Valley Council is committed to boosting tourism in the Huon Valley and a major part of that is improving the visitor experience. Council has received a $2.14 million grant from the State Government to upgrade one of the major tourist routes, Arve Road, which connects Geeveston with the popular Tahune Adventures. The road is currently narrow and winding and is frequently used by heavy vehicles. There is also very limited space for pedestrians. Over the next six months Council will be widening the road, installing a footpath, kerb and gutter, constructing gravel shoulders and improving drainage. Mayor Bec Enders said the grant from the State Government was very welcome. “This upgrade will make a huge difference for both the people who use it every day as well as the thousands of tourists who visit the Huon Valley every year,” Cr Enders said. 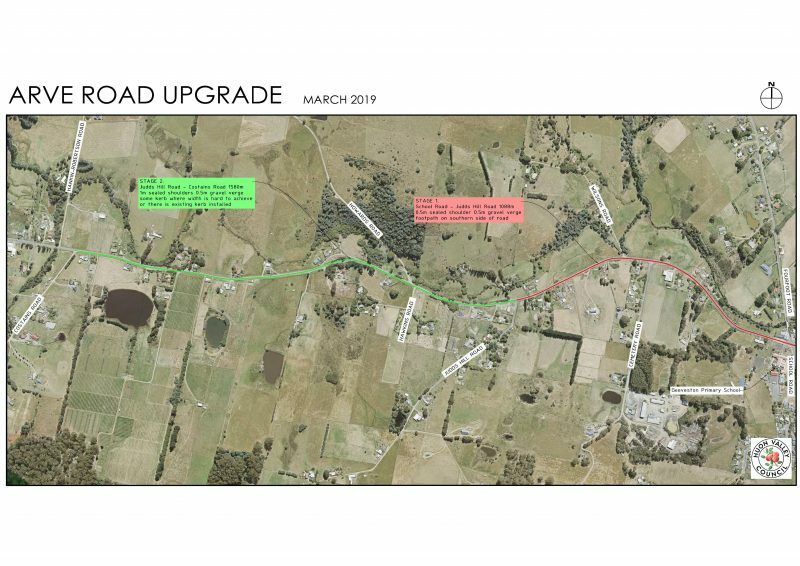 “Not only will it make Arve Road a far more enjoyable route to take but this upgrade will improve safety for all road users.